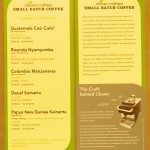 This is Episode #2 of the Clover Coffee Experience. Click here for Episode #1. 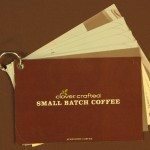 On August 26, 2008, Starbucks greatly expanded the number of stores with Clover Coffee brewers and changed a number of marketing materials, as well as price structure. * Menus went from brown to green and white. 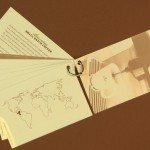 * Menus no longer had any printed dates on them indicating generally when the coffee was offered. 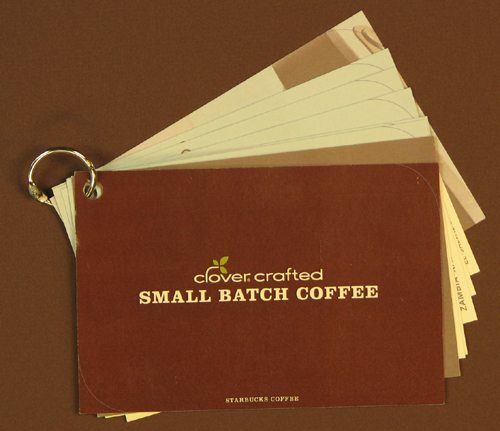 * Menus dropped the marketing words “Pressed” and replaced it with “Clover” and “Small Batch Coffee”. * Prices went drastically up. 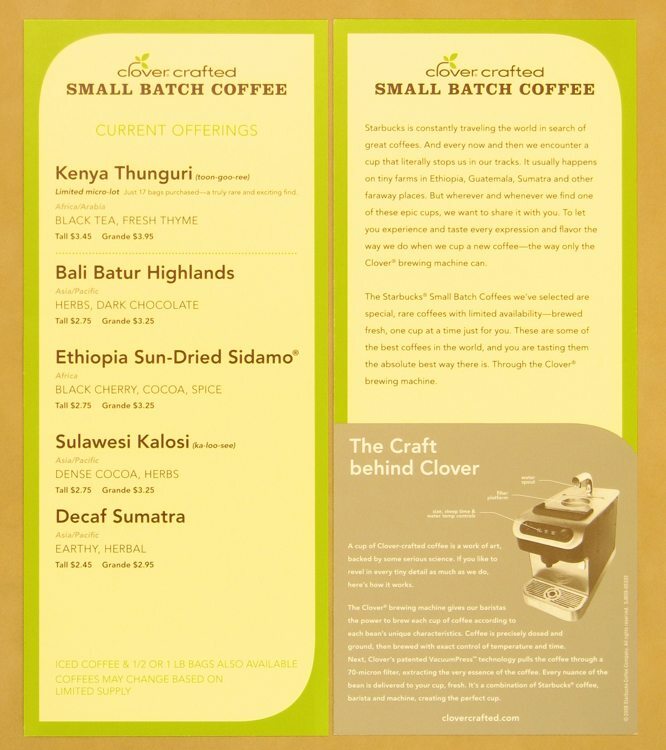 Previously, a tall was a flat price of $2.05 regardless of whether the customer purchased a Sumatra or 100% Kona. 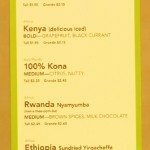 Most coffees went up in prices, and prices varied by type of coffee. 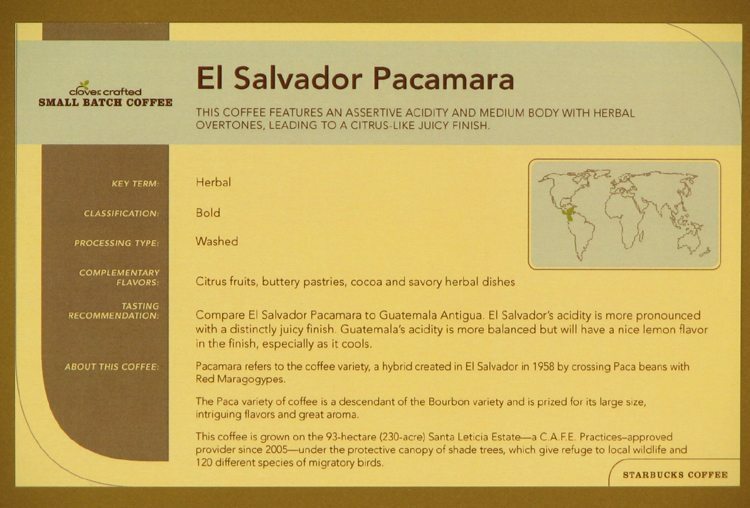 During this time frame, the most expensive coffees went up to about $3.45 per 12 ounce cup. 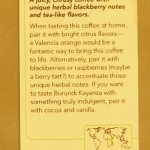 * And then prices went down very slightly … In February 2009 when “pairings” were introduced to the stores, Starbucks dropped the price of a Clover cup of Kenya and Sumatra, and so those two coffees were offered at $1.95 for a 12 ounce cup. 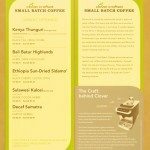 Previously I did a blog entry that was a very detailed look at how Sumatra is sourced. I highly recommend reading it! 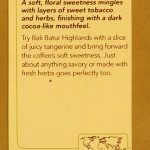 Sumatra is uniquely sourced in many ways! 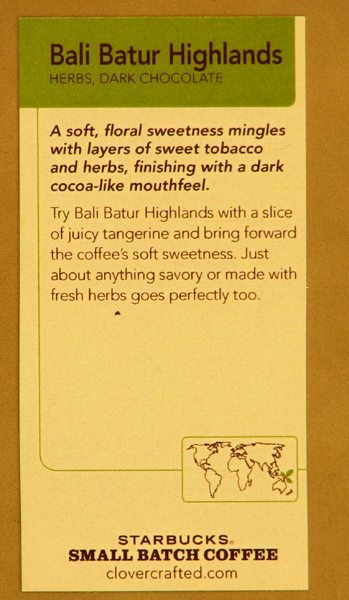 Click here for the prior blog post on Sumatra and Aged Sumatra coffee magic! 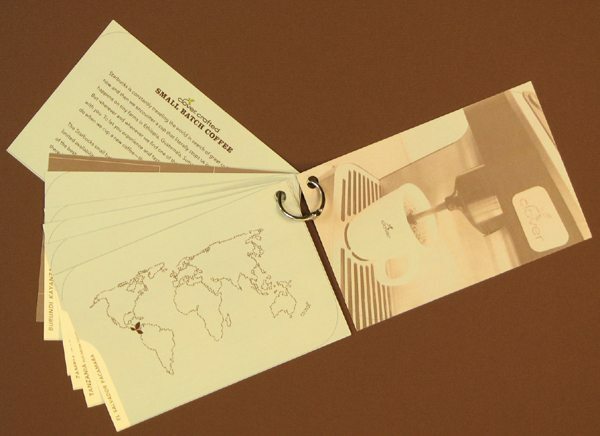 * When the green and white coffee menu boards were introduced, Starbucks also sent baristas a variety of accompanying little tiny cards and materials that educated both barista and customer about the coffee and its sourcing. 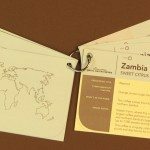 Baristas also received little cards about 3 x 5 size bound together by a ring with detailed coffee education for each small batch coffee. 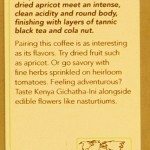 * However by about mid-way through 2009, when the menu boards became a plain white and gray, Starbucks seemed to stop sending the additional coffee educational material, seemingly abandoning the idea that baristas should learn about the coffee. 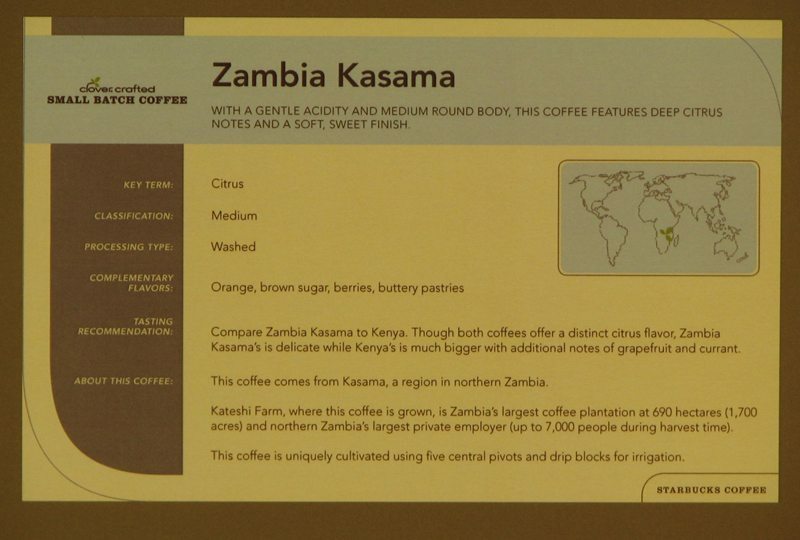 So, during the Clover coffee episode of green and white menus, Starbucks heavily supplemented the coffee education with a variety of additional materials to help baristas understand the unique and special small-batch sourced coffees. 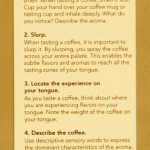 Unfortunately, I have not seen any of the supplemental coffee education materials in the stores in months. I also wish they would go back to dating the menus because right now it’s very confusing for me to try to remember which menus I do or do not have. 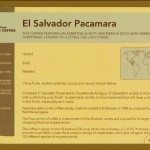 I also hope that this blog post will persuade a few people to join the V2V action thread on the Clover Coffee Experience. I still have great hope for the Clover because it brings such incredible value to a store. The barista needs about 90 seconds to two-minutes at the Clover to make a Clover beverage, and so it gives the customer a chance to connect and talk and slow down the frantic pace of the day. 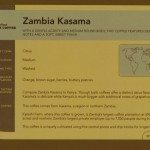 If a Clover store has baristas who understand how special their limited coffee offerings are, and how to get customers enthusiastic about this unique machine, I think its success will be certain! 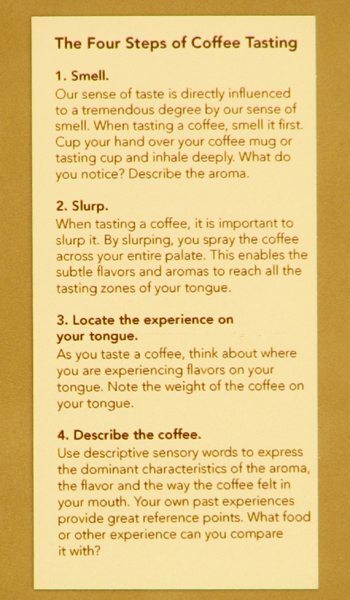 Of course, Starbucks needs to expand the coffee education that goes with this. 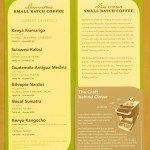 The online information about the Clover coffees needs to be a little more accessible too; it can be difficult to figure out detailed information online about these rare coffees! 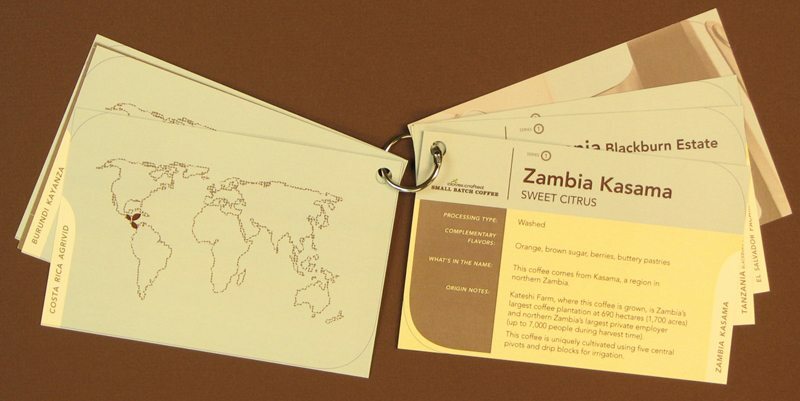 Where is the Clover Coffee Experience going? I do not know. 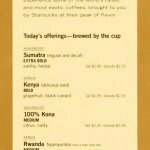 I am nearly sure that at one point during a quarterly investor’s call, Starbucks announced that in 2010, 250 additional Clovers would be added to Starbucks stores. This same number of estimated Clovers has been mentioned in the news too. Their placement though must be judicious. 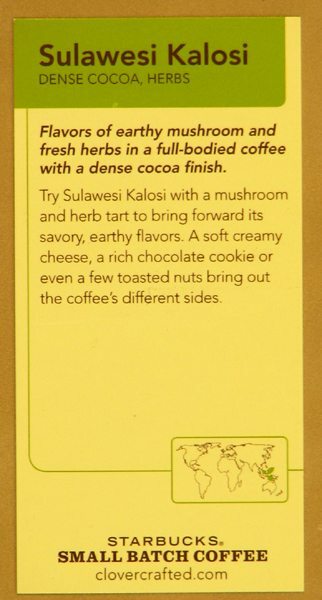 My own commentary on this is that the Clover will lose its charm and exquisiteness if Starbucks over expands it and too hastily throws it in their stores. Also, it is clear the market must be able to support the Clover, meaning that any store that gets a Clover has to have customers willing to pay $2.00 to $3.50 for a cup of black coffee! The Clover won’t succeed just anywhere. 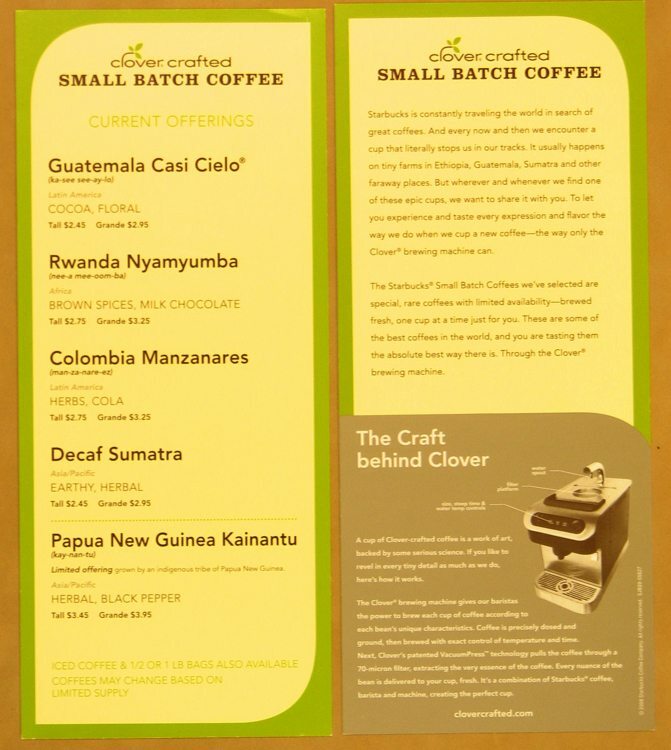 A recent news article stated that Starbucks is removing the Clover brewer from seven Boston-area Starbucks. 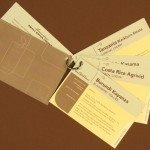 Also, if anyone has any further information about coffee education pieces going to the stores (the little tiny mini cards for customers have definitely been discontinued, and I’m nearly sure the bigger 3 x 5 cards with coffee education information are gone too) I would love to hear about it. Thank you to Larry Aldrich of Seattle Custom Framing who did a tremendous amount of work for me taking all these million little pictures. 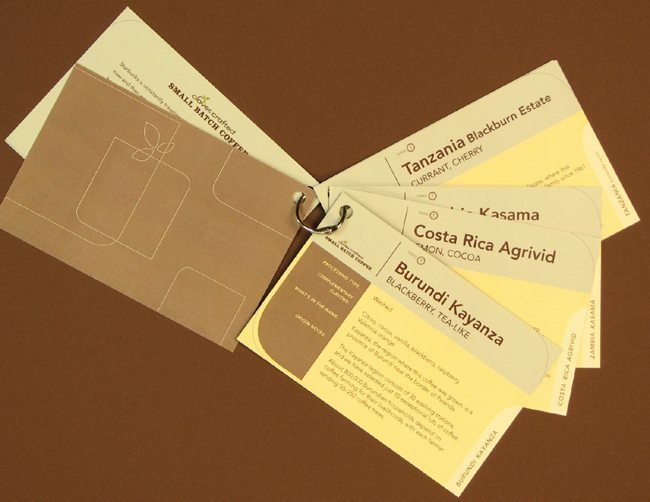 Blonde roast: Veranda and Willow Blend coffees coming soon to Starbucks. 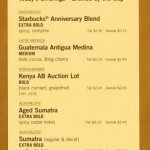 Gold Coast Blend Returns to Starbucks: Featured Bold Brew First Week of February. You sure do spend a lot of time on this clover thing Meldoy. 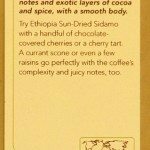 So, Starbucks has to convince customers that A) their coffee is special and B) this machine makes it even more special and C) it is worth waiting for special coffee. I get that – and I think they have the brand power to do it. Here’s my question – and I have never seen this answered anywhere. 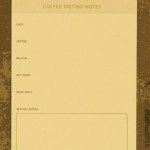 What percentage of drinks sold at Starbucks are just plain old cups of coffee? 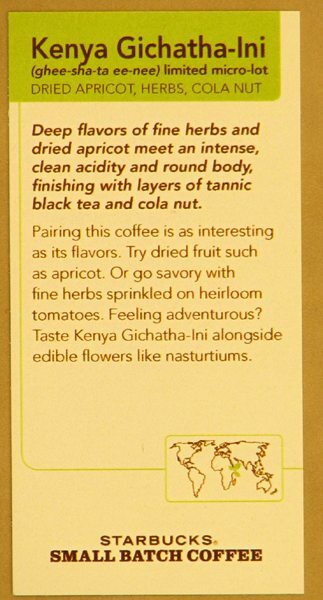 As opposed to espressos, white chocolate mochas, frappuccinos, etc? I’ve never ordered a “cup of coffee” at a Starbucks – and neither do 90 percent of my twenty-something and thirty-something social circle. 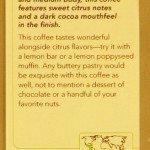 We order the “frilly” $4 espresso drinks that have enough sugar to keep a dentist busy for eight years, and don’t bat an eye paying for it. We talk about “going to Starbucks” like it is a religious experience. 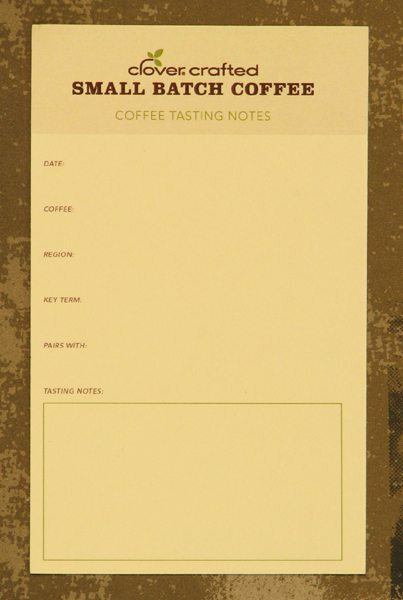 But we look down our nose at “plain coffee,” simply because Starbucks trained us that coffee was supposed to taste like dessert. I guess my question is this “What’s the payoff if most of the customer base isn’t buying what the Clover is producing?” Or am I wrong? 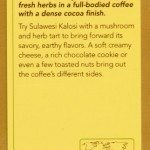 And to SbuxDrama, Starbucks Coffee Company began selling only whole bean, dark roasted coffee! It’s evolved into “frilly” dessert drinks. In my perspective, its sad that this company is known for its “extra caramel drizzle java chip frappuccinos” when their drip coffee is delish! 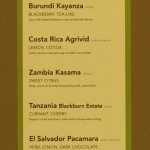 At the Starbucks I work at, probably 25-33% of our sales come from drip coffees. Mostly middle aged men in my experience. 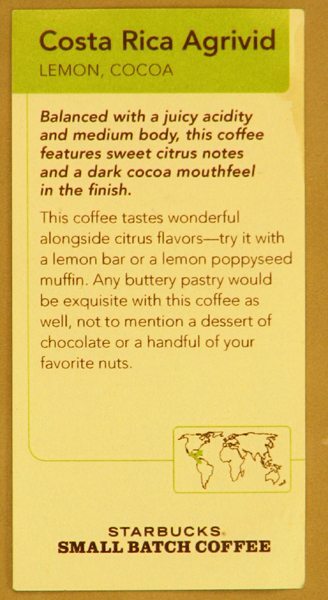 There is definitely a customer base out there who will do anything for the best cup of coffee. In Melody’s words “Their placement though should be judicious”. (Ha, I laugh ’cause the words you choose show your profession!) Not every location is going to be able to support the Clover. 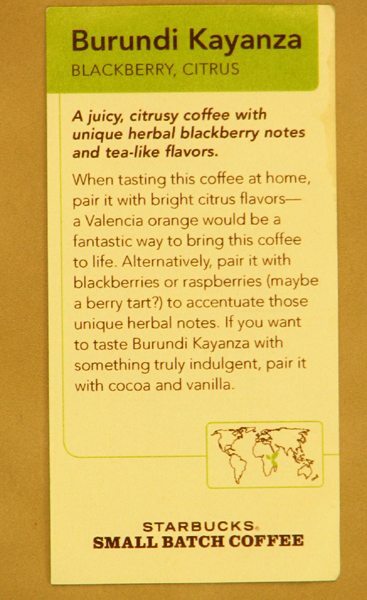 It’ll probably have to be at a busy store where coffee passion from the baristas and customers are present. From there, the passion will spread through the community. 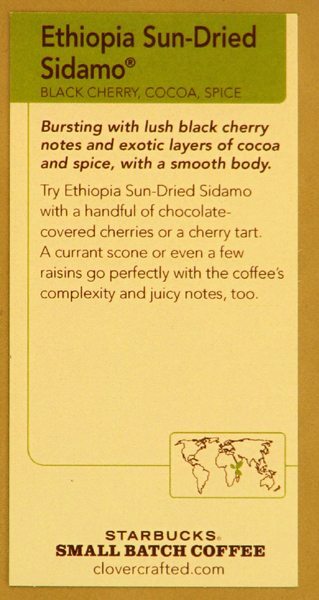 Melody: I would never fail a Via taste test because the Via version of “coffee” tastes chalky, just like Sanka did a bazillion years ago. Respectfully submitted by Joseph – josephsreviews at g dot mail dot com. The Clover is simply wonderful. Although it’s true a few coffees come out better than others. Thanks for the post! 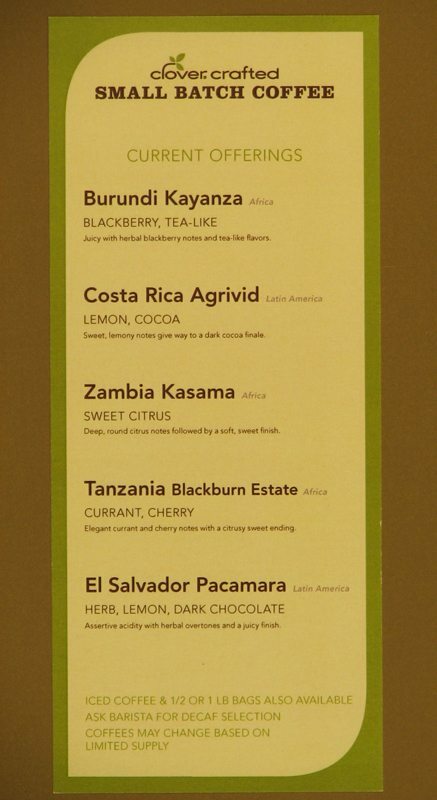 The September 2009 menu above is still in effect at Starbucks in Boston as of this past weekend. 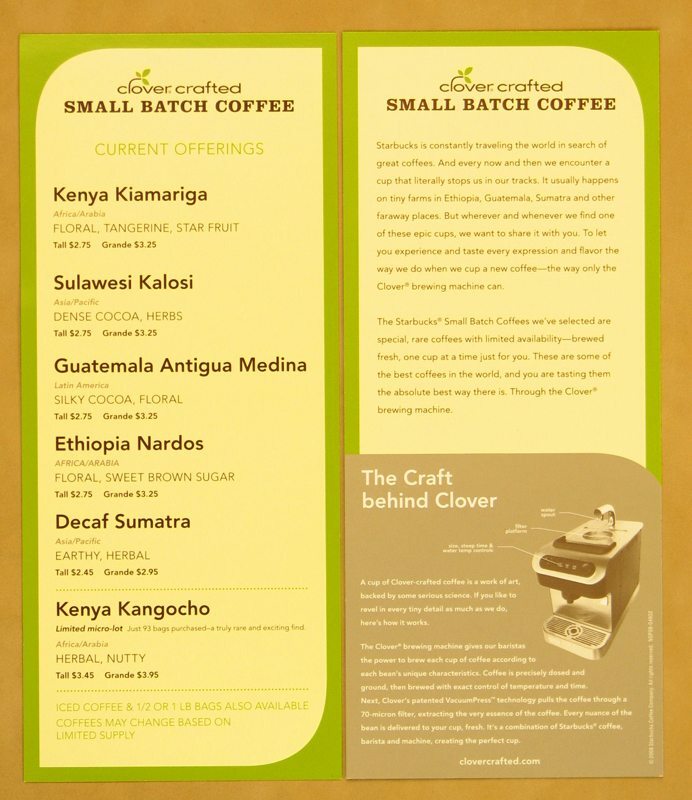 Do you know if they will expand the Clover stores beyond Seattle and Boston to, say, Chicago?